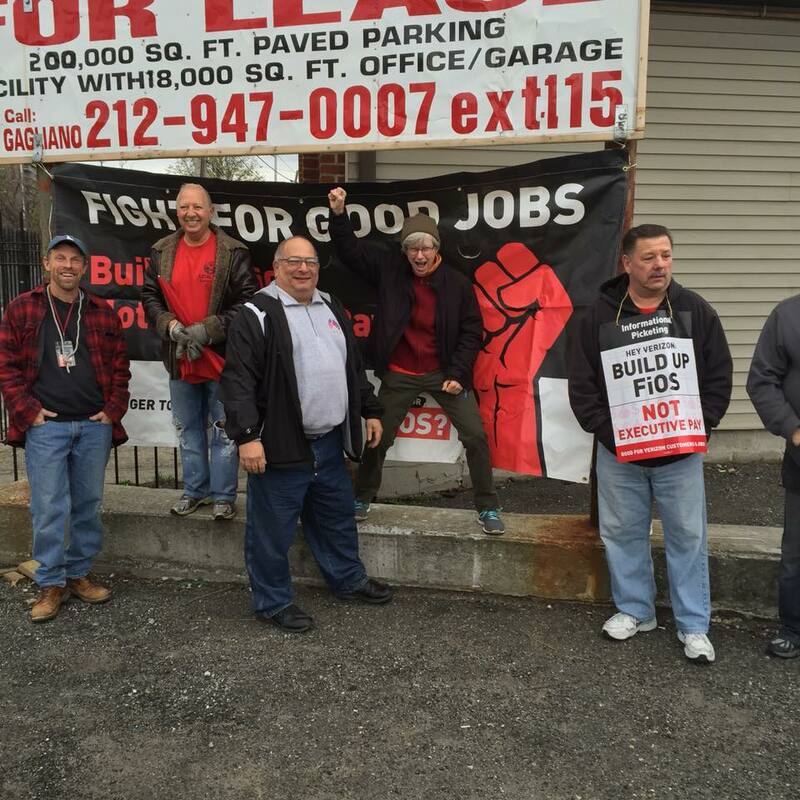 This week the Communications Workers of America went on strike against Verizon. Every three years, management at the telecom giant forces their wireline call center and copper and fiber optic workforce to the brink of a work stoppage. If you know anyone who works at Verizon, I bet they are unhappy all the time. Not just the union employee, but management as well. It's a mess over there, but trust me Cablevision is no better. During previous strikes, you read the typical fact based newspaper articles, sensational TV news coverage and predictable press releases from both sides. Nonetheless this strike, which will affect 39,000 working families in eight states, will be much different than years past. Forget that millions of customers will see an interruption in service, this year will see participation by the non-union wireless employees. Verizon's business model is a complicated smoke and mirrors model. The wireline side is the cash cow; the consistent flow of cash from those who pay their FiOS and phone bill. Most governments are forced to do business with Verizon so cha-ching! All that boring utility money is funneled into the wireless side, who along with wireline make 1.8 Billion a month. The heads of Verizon take the profits and buy things like Huffington Post and Yahoo then compensate themselves in the tens of millions. They keep the shareholders happy with dividends that pay and tell the employees that in order to stay competitive, they need to earn less. "These picket lines are not intended to hurt you. They are intended to hurt the company. We have tried for months to come to an agreement with the company. Despite their billions in profit we have tried to meet them half way, but they have not budged. We are fighting for basic security and a livable wage. We believe that much of what we win in the union Verizon Wireless stores will be passed along to the non-union stores. We are not only fighting for our members, we are fighting for everyone in both sides of Verizon. We encourage you to NOT cross our picket lines." Some wireless stores have organized, most have not. This union is striking not just for their own survival, but to inspire the wireless employee to fight back even when they see their wages decrease as a result of strike activity. No matter where you stand, you got to respect that. Kris LaGrange is the head of UCOMM Communications, a labor-focused communications firm. This column first appeared in the Long Island Business News.